The new Conservation Highlights is out now! 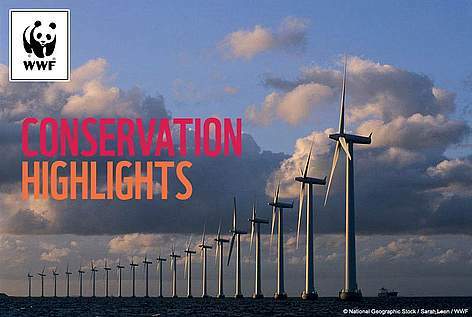 Conservation Highlights is an illustrated review of recent achievements and challenges in WWF's work to protect biodiversity and reduce humanity's footprint in priority areas of the natural world. The latest edition features stories on actions to protect the habitat of priority species such as tiger, Far East leopard and polar bear, advances in sustainable management of tuna fisheries and Congo forests, successes in closing down the illegal wildlife trade which threatens thousands of species, and the many ways people around the world are using WWF's Earth Hour as a platform to mobilise conservation action.